You can enforce your rules and be polite at the same time. 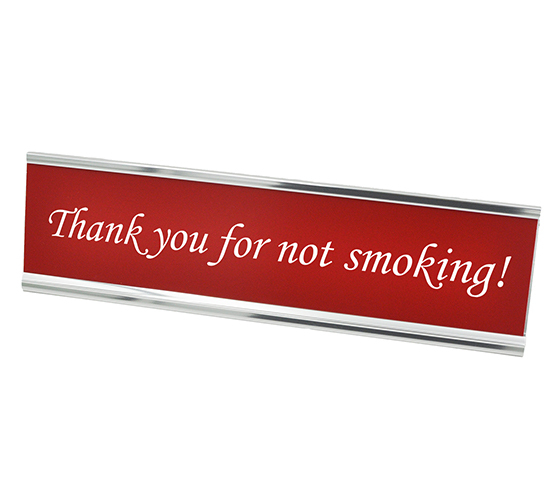 With our Thank you for not smoking! Desk Plate, you can show that your business is friendly and courteous, all while letting your patrons know your rules. Laser engraved and classic, this desk plate will look fabulous on any desktop. Stay classy in your office and order your desk plate from us today!